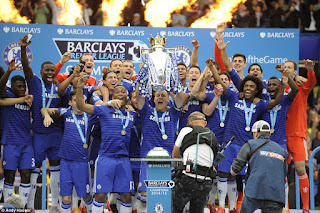 Chelsea will face a stern examination of their title defence after being pitted at home to Swansea City on the opening match of the season, with Manchester City at the Etihad Stadium the champions' next assignment at the start of the 2015/16 Barclays Premier League season, after the fixtures were released today. Jose Mourinho's team sealed their fourth BPL title by an eight-point margin last season after a strong start but their mettle will be tested in the early stages of the 2015/16 competition as they also face Everton and Arsenal in their opening six matches. Swansea, who finished 2014/15 in a club-record eighth place, opened last season's campaign with a shock victory at Old Trafford and will be looking to do the same at Stamford Bridge. In the same fixture last season, Diego Costa scored a hat-trick in Chelsea’s 4-2 win but only after Swansea had taken the lead through John Terry’s own goal. 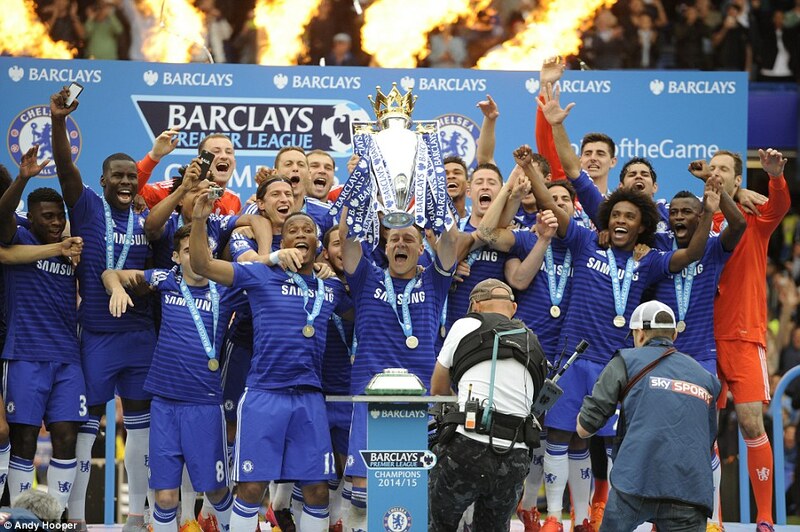 The Welsh side were one of only the two teams to have led at Stamford Bridge last season in the BPL. Swansea also give good memories for Chelsea because in the reverse fixture last season, Mourinho’s team swept aside Garry Monk’s side 5-0 at Liberty Stadium. Manchester United will face another tricky opener at the Theatre of Dreams with Tottenham Hotspur their first opponents on the weekend of 8 August. United will not have long to wait before meeting traditional rivals Liverpool, either, with the two sides meeting to Old Trafford on Matchweek 5. Brendan Rodgers' side have the opportunity to make immediate amends for last seasons's final-day 6-1 defeat by Stoke City with another trip to the Britannia Stadium on the opening day, the first time in the Barclays Premier League that a fixture has been played twice in succession at the same venue. Liverpool then travel to Arsenal on the third weekend of the campaign in a tough start with trips to Old Trafford, Everton, Tottenham Hotspur and Chelsea before November. The first Merseyside derby takes place on the weekend of 3 October at Goodison Park, the same matchweek that Arsenal host Manchester United. Anfield will play host to Everton on the weekend of 27 February, on the same weekend Arsenal visit Old Trafford. Louis van Gaal's charges are at home in the first Manchester derby on the weekend of 24 October, with the Red Devils visiting Man City on the weekend of 19 March. Arsenal, who finished third last season, open their Barclays Premier League account with back-to-back London derbies against West Ham United and Crystal Palace and go to Chelsea on Matchweek 6. Spurs visit Emirates Stadium on the weekend of 7 November, with the reverse fixture scheduled for the weekend of 5 March.